The pathway to our destiny and greatest success begins every day with a positive attitude that seeks solutions to any problem, challenge in the hours ahead. When the body is light, bright and flexible…the heart and mind follow. The light that reveals the greatest avenues of accomplishment shines most brightly from a clean, clear mind and body. Every individual’s challenge is to maintain a purity in an increasingly toxic world. There are poison problems from toxic chemicals that infect almost everyone, nearly every day. These poisons can be in our food. They can be in our medicine. They can be on our clothes, our car, our pots and pans, water, air and teeth and just about anywhere. 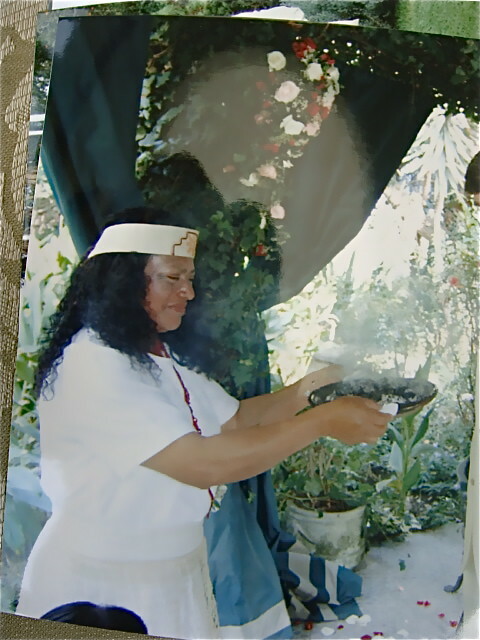 Shamana performing shamanic purification ceremony at La Mirage in Cotacachi, Ecuador. Photo from “Andean Longevity Purification Health Secrets” report. We are all aware that there are growing amounts of toxicity we must face in the modern world. How do we get these toxins out of our bodies? This problem (and seven solutions) are described in a new report “Andean Longevity Purification Health Secrets” that you can access free of charge. Imagine this. You maintain natural good health. You eat a good diet with good food. Though prices are higher, you shop at Whole Foods, pick only organic or pesticide free… get only water that is in BPA-free water bottles and carefully stay away from BPA-filled canned food. You check out and cringe at the higher prices as you examine the receipt. Yet the extra cost is worth avoiding BPA. You pony up the extra cash, get your change and leave, feeling good… because you did not know that you were still just then contaminated with BPA… twice! We are exposed to many uncommon toxicities in the most common ways. Numerous poisons are hidden in plain sight and are really hard to avoid. Fortunately there are simple steps we can help us regain our health and rid ourselves of toxins in our system. This is why I hope that you will enjoy the free report, “Andean Longevity Purification Health Secrets”. There are two even more insidious ways that you are polluted with BPA, often daily. Get the free report “Andean Longevity Purification Secrets”. See where you routinely are exposed to BPA every day. Then see simple ways to eliminate these toxins that surround us. For example one shamanic purification solution uses cinnamon as a regular, inexpensive, enjoyable and tasty cleanser. Photo from “Andean Longevity Purification Secrets” report. Learn these simple but effective shamanic secrets. Get this free report now. Click here.